In a Commonwealth blessed with abundant assets, our most valuable resource has always been our people. Ed Gillespie has a specific plan to fully develop the full potential of each individual person through higher education reforms. Ed’s plan will benefit all Virginians and make our Commonwealth a magnet for business investment and job creation. Workforce development is the lynchpin to dynamic economic growth, and the key to personal opportunity and upward mobility. Perhaps most important, workforce skills drive innovation, and innovation is what will create a future of expanding opportunities for our children and grandchildren. Without Ed’s initiative, Virginians will continue to witness the downward drift and diminished dreams that will follow if today’s mediocre status quo becomes Virginia’s new normal. Ed is adamant that we will not acquiesce in spite of declining business rankings, an exodus of talented young people and higher paying jobs from our state, and one of the slowest rates of economic growth in the nation. Cultivating potential through world-class education and training. Unleashing potential through entrepreneurship and business growth. Rewarding potential through great jobs and productive, fulfilling careers. Is it too ambitious to imagine a Virginia that is known nationally and internationally as America’s OPPORTUNITY CAPITAL? Only if we lack the leadership, vision, commitment, and collaboration required to set the goal and achieve it. Our Virginia workforce is among the most diverse and best educated in the country. Our system of public and private colleges and major universities achieves top graduation rates and earns high national rankings for quality, value, and return on investment. Our community college system and private providers deliver high-quality training that leads to associate degrees, industry-recognized credentials, and well-paying jobs. Our business community strongly supports higher education and is actively engaged with college leaders in strategies to increase its economic impact and improve its performance. And our General Assembly, led by forward-looking lawmakers like Speaker-designee Kirk Cox, Senator Tommy Norment, Delegate Chris Jones, Delegate Steve Landes, Senator Steve Neman and others, has repeatedly demonstrated its commitment to higher education reform and fiscally sound investment. Ed will provide the leadership and vision needed to capitalize on these assets and forge the partnerships that will make Virginia the OPPORTUNITY CAPITAL. And being the OPPORTUNITY CAPITAL will help restore Virginia’s standing as the best state for business. Ed’s plan for higher education opportunity for all Virginians, outlined here, builds on his previous in-depth proposals on K-12 education, small business formation, and good government. Together, these plans provide the vision Virginia needs from its next governor and a practical roadmap for making that vision a reality. Ed understands that in today’s fast-changing, digital economy, a post-secondary degree or industry-recognized credential is a practical necessity. For the vast majority of Virginians, the opportunity to live independently, make a good living and care for their families will depend on successfully completing some educational or training program beyond high school. Post-secondary education is becoming more important than ever, it is also becoming more expensive than ever. There are a number of causes and solutions, as outlined below. Realistically, any plan for the future of higher education in Virginia must begin by acknowledging that the weak leadership of the current Administration has led to weak economic growth, declining attractiveness for business investment as reflected in key rankings, and recurring budget shortfalls. A chief consequence of this mediocre status quo is scarce revenues for important public services such as education. The simple fact is that absent a reversal of the current downward trajectory, there will not be enough public resources to do everything we need and want to do. This is true even when it comes to investments that are crucial for our future, such as education. So we have to do things differently and better. We have to be creative, efficient and collaborative. A major new business-education partnership focused on workforce development and retention in Virginia. A new spirit of partnership between the Commonwealth and our colleges on access and affordability for all Virginians. A consumer-focused partnership between higher education institutions and the students and families they serve. As governor, Ed will convene the leaders of Virginia’s top business employers, major business organizations representing small and large enterprises, public and private higher education institutions, the State Council on Higher Education and other key stakeholders to craft a consensus plan to make Virginia the OPPORTUNITY CAPITAL by establishing the nation’s most wide-ranging and effective partnership between higher education and business. CURRICULUM ALIGNMENT: Partnerships between business organizations and colleges, universities, community colleges, and other providers to provide ongoing curriculum advice and assistance. Ed will make it a priority to remedy the continuing misalignment between what educational institutions teach and what employers need. Through collaboration between businesses and colleges, employers will provide information concerning their evolving human capital needs on the front end so that educators can develop curricula that lead to specific employment opportunities for their graduates on the back end (after program completion). Through a systematic approach to this voluntary collaboration, the degree and credential programs offered by four-year schools and community colleges will assure the availability of a skilled workforce that small and large Virginia businesses need in order to grow. It will help get our Virginia economy growing strongly again, so that graduates can land good jobs here in our Commonwealth. And it will minimize the spending of personal and public resources on “academic bridges to nowhere” that have caused critics to question the practical value of higher education. REGIONAL PARTNERSHIPS: Partnerships on a regional basis, as envisioned and promoted through the recent GO Virginia legislation, where colleges and community colleges work seamlessly with businesses and local governments in the region on strategies to create higher-paying jobs. The innovative GO Virginia program is an example of the kind of business-education collaboration Ed will create as governor. While GO Virginia is off to a fast start, it deserves and needs a supportive governor who understands the value of organic job growth and collaborative economic and workforce development in each of Virginia’s varied regions, and who uses his office to encourage broad-based participation in the program by regional business, education, and government leaders. Ed will make the program’s success a priority. INTERNSHIPS AND EXTERNSHIPS FOR WORK EXPERIENCE: Encourage business partnerships to better align curriculum and apprenticeship, internship and work- based learning opportunities. A recent study ranked Virginia 43rd in the nation for grants and student work opportunities, an aberration from the positive rankings our higher education system typically receives and likely a reflection of insufficient direct engagement between our higher education institutions and the business community. Ed will convene leaders from business and education to assess the current status and reasons for Virginia’s low ranking in this area, with a goal of getting Virginia into the top 10 states for internships as quickly as possible. He will make internships and similar work opportunities a performance metric for Virginia’s public institutions of higher education, promote forgivable loan options to make such opportunities more broadly available, and support making consumer information on this performance metric available to prospective students and their parents. RETENTION: Partnerships to encourage talented young Virginians to attend college in the Commonwealth and to stay here to work after graduation. For three years in a row, more people have left Virginia than have moved in, and many of the departing Virginians have been mobile young people who appear to have left for better jobs elsewhere. To make matters worse, more than 50 percent of those leaving held a bachelor’s degree. To have our children and grandchildren leaving their communities and state to find good work elsewhere is a sad new reality for many Virginia families, and it is also a leading indicator of a brain drain that is harmful to our Commonwealth. Business, education, and government leaders should collaborate on the best strategies to reverse this negative trend, with possible solutions ranging from improved internships, work-study and “pipeline” programs with Virginia employers, to marketing and digital outreach initiatives that show young Virginians the advantages of staying in the Commonwealth to learn and work. NEW VIRGINIANS: Partnerships that promote Virginia’s higher education system to talented young people from other states (for slots not dedicated to Virginians) and that encourage the students to stay and work in Virginia after graduation. Ed’s highest priority will be ensuring that all Virginians have access to our colleges and universities and choose to stay in the Commonwealth for their post-secondary education and work. After assuring access for all qualified Virginians, our colleges and universities should seek to attract talented young people from outside the Commonwealth who will come here to study and stay to work. Successful alumni who are leaders in business and other pursuits can play a valuable role in this recruitment. Virginia’s success in attracting the “best and brightest” out-of-state human capital was a major factor in our state’s strong economic growth for many years, but recently our economic growth has stagnated and more people are leaving Virginia than have come here. In addition to helping to make Virginia the OPPORTUNITY CAPITAL and enriching the student experience, attracting top human capital from outside the state will make it easier for Virginians to afford college, since out-of-state students on average pay more that twice what Virginians pay to attend our public colleges and universities. RETURNING VETERANS: Partnerships that help veterans build on experience gained in military service and obtain the degrees or credentials that lead to good job opportunities. Our veterans not only deserve the assistance of a grateful nation; they also have unique skills that Virginia must put to work. Working creatively with business and education leaders, Ed will craft practical solutions for veterans that focus on streamlined access to degrees or other credentials that lead to good jobs. In addition to receiving credit for relevant “on-the-job” experience gained during military service, veterans need one-stop digital and in-person access to information on degree and credential programs and associated work opportunities. Even with the notable recent initiatives and successes here in Virginia on veterans issues, broadening the engagement of the business community to enhance job access for veterans remains an urgent need. Ed will use the strategic partnership he forms between higher education and business leaders to promote improved educational and job opportunities for veterans throughout Virginia. CRITICAL WORKFORCE SHORTAGES: We must create partnerships to accurately identify the disciplines where business expansion in Virginia and/or economic development efforts are seriously impeded by specific skills gaps, especially workforce shortages that cut across multiple regions, and fashion collaborative strategies for systematically remedying the shortages.The skills gap is widening, and over the next decade 3.4 million manufacturing jobs will need to be filled. The severe shortage of manufacturing skills can potentially impede the trend of growth of Virginia’s manufacturing. And, this skills gap can impact businesses ability to implement new technologies and increase productivity. Information technology and healthcare are among the areas often cited as examples where shortages currently exist, but there are many more. Such shortages not only are missed opportunities for good employment for Virginians; they also are a major impediment to new business investment in Virginia, since businesses will not place new facilities where an adequate workforce is lacking. 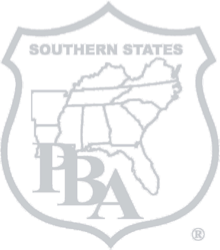 Business, education, and government leaders must ensure that reliable skills gap data is assembled and assessed, including utilizing the forthcoming regional findings through the GO Virginia process, and then develop concerted strategies to remedy the gaps with targeted educational and training programming and marketing efforts. In many cases, these strategies will need to include access to online programs and other programing tailored to the circumstances of working adult Virginians in need of training or retraining. RESEARCH PARTNERSHIPS: Partnerships among higher education institutions and between universities and business organizations to promote university-based research, attract more federal and private research investment in Virginia, and translate research into commercial opportunities such as start-up businesses. In the 2016 legislative session, Virginia took the first major step in many years to promote collaborative research focused in areas likely to lead to business startups, but since then progress in implementing this important initiative has been slow. Virginia’s higher education institutions can and should be “best in class” when it comes to unleashing the creative skills of students and faculty and collaborating with business to bring new ideas and innovations to market. Business, education and government leaders must work together to identify and reduce barriers to startups and growth, and create incubators, accelerators, innovation zones, and other tools that have proven successful in helping entrepreneurs translate research into commercially viable, job-producing businesses. Consider the life sciences growth in Virginia and in Charlottesville in particular. This is a result of emerging research partnerships. Ed will continue to advance this partnership through his innovation and economic growth plan. A policy-focused governor is an absolute prerequisite to convening leaders from business, education, and government to seize these opportunities, and not every governor or gubernatorial candidate has the will or skill to lead in this way. Ed Gillespie has the passion, the plan and the experience to bring the crucial players together, forge a concerted plan of action, and build and brand Virginia as the OPPORTUNITY CAPITAL. Not only is Ed’s vision and leadership crucial for the future of our state’s economy; it is crucial for the future of higher education opportunity in our Commonwealth. Ed’s emphasis on creating wide-ranging partnerships between business and higher education is the only practical path offered by any candidate for remedying the resource shortages that are chronically plaguing higher education institutions and tuition-paying students and parents. In addition, business collaboration offers other important benefits for our highly ranked higher education system. Business know-how can help higher education institutions bend the cost curve. Business backing can help attract and sustain public and private support for needed investment and reform. Business collaboration with higher education on curriculum, internships, and job opportunities can answer the growing chorus of criticism about the value of a college degree. And the benefits are mutual, as the students who emerge from excellent post-secondary education and training here in Virginia will enter the working world with the workforce to help businesses grow and the ability to think critically, forge consensus, engage productively with colleagues of varied backgrounds, and creatively overcome obstacles to business success. Of course, many Virginia students are destined for highly successful and productive careers outside the for-profit and not-for-profit business sectors, and our colleges, universities, and community colleges play a vital role in readying students to use their skills in these important pursuits. But Virginia’s pressing challenge today is to get the private sector of our economy growing strongly again, and that means restoring our attractiveness for business investment and job creation. Branding Virginia as the OPPORTUNITY CAPITAL — and, more importantly, deserving that reputation—is the key to achieving these goals, and Ed’s vision of close collaboration between business, education, and government is the way to make it happen. As Governor, Ed will foster a new spirit of partnership among the Commonwealth and its public colleges, universities, and community colleges—a partnership that will help them work together to bend the cost curve and assure affordable access for all qualified Virginians. Ed understands that part of the genius of Virginia’s standout higher education system—a key reason that our schools produce top results nationally while having one of the nation’s lowest levels of state operating support—lies in the way our colleges, universities and community colleges have grown up entrepreneurially. Unlike centrally planned and managed systems of higher education elsewhere, Virginia’s leaders gave our public colleges considerable latitude to respond to the needs and opportunities of the educational and economic marketplaces in which they found themselves. Motivated by the Jeffersonian ideal and aided by a supportive state government, our public and private higher education institutions pursued varied opportunities, found niches, invested strategically, managed well, and, through their innovative individual choices—much as occurs in the private marketplace—they produced a system that today offers Virginians an unparalleled variety of choices among excellent educational options. The rest of the nation has taken notice, too, as seen in the constant cascade of top rankings for quality and value. Perhaps most important in light of our Commonwealth’s current economic challenges, the Virginia higher education system has been recognized as a smart investment. The system received top national honors earlier this year from SmartAsset, the personal finance website, which declared our higher education system #1 in the country because of its high graduation rates and high return on investment. Recent higher education policy initiatives, championed by Republican legislative leaders like incoming House Speaker Kirk Cox, Senate Majority Leader Tommy Norment, and House Appropriations Committee Chairman Chris Jones, with strong support from the business community, have notably strengthened the system. These changes have given the schools increased managerial responsibility, modernized their infrastructure, and, most recently, through the 2011 “Top Jobs Act,” set ambitious goals for increased degree attainment and economic impact. And, yet there are serious challenges. Tuition and fees have risen rapidly over the past two decades, placing our public institutions among the nation’s most expensive and far outpacing the growth in Virginians’ disposable income. Two recessions since the turn of the century have taken their toll on state funding for higher education, and efforts at the state level to reinvest—supported by the business community and General Assembly leadership—have had limited impact because of the state’s weak economy and frequent budget shortfalls. Increases in student fees, which cannot be explained by the state cutbacks, have varied widely by institution but collectively have risen at unsustainable levels. Just as a hallmark of a well-run business is constant improvement, so must our generally high-performing colleges and universities do a much better job of finding efficiencies, increasing productivity, and bringing their costs in line with the economic realities facing the people they serve. Preserving individual colleges’ flexibility to manage efficiently and entrepreneurially will remain a high priority for Ed, because that approach has served Virginia extraordinarily well. At the same time, our public colleges receive hundreds of millions in tax dollars for capital and operations and must be accountable to Virginia’s citizens and elected leaders. Making Virginia the OPPORTUNITY CAPITAL and achieving our other ambitious educational and economic goals is a shared responsibility of the Commonwealth and its colleges. So, too, is ensuring that no Virginian is left out or left behind because of the cost. RESULTS-FOCUSED FUNDING: Expectations and accountability for results that matter on an institution-specific basis. Ed wants Virginia to base funding for its public colleges and universities more on the individual performance of the institutions, with emphasis on results that matter to students and the Commonwealth. In our strong system of varied institutions, each school’s mission, situation, student base, market strength, and opportunities for educational and economic contributions is distinctive. In this day of constrained resources, focus is essential: every school cannot be everything to everyone. Building on the six-year planning process refined under the Top Jobs Act, the Commonwealth and its individual public colleges and universities should work in partnership to establish agreed upon performance objectives and metrics and corresponding financial support from the Commonwealth. While the individual performance agreements will vary, all should address the results that matter most to students and the Commonwealth, including, for example, the number of Virginia students the institution will enroll, graduation rates and speed, job placement success and earnings expectations, internship and student work opportunities, net cost to students after financial assistance (including expected student loan debt levels), the institution’s contributions to statewide and regional economic development, and, where applicable, research and research commercialization activities. At the same time, we must ensure that institutions are not punished for taking at-risk students. FINANCIAL PREDICTABILITY: Making state funding more reliable and predictable, and passing along those benefits to students and their parents. 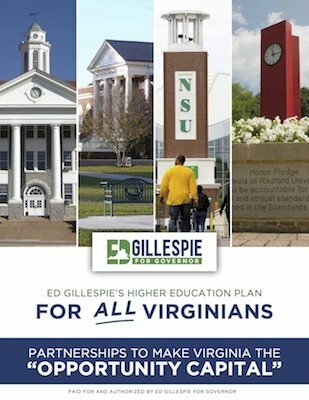 Ed agrees with business and education leaders that it is time to follow through on plans to create a higher education reserve fund in Virginia, one that will make state support for higher education less vulnerable to economic swings and more reliable and predictable for higher education managers and the students and families they serve. It is a business maxim that revenue uncertainty increases costs. In addition, two recessions after the turn of the century prompted deep state funding cuts that drove tuition sharply higher for Virginia students and families, a pattern that was not new in the Commonwealth. Governor McDonnell’s bipartisan higher education commission seven years ago sought to break this costly cycle by urging creation of a higher education reserve fund, and the General Assembly endorsed the proposal in the Top Jobs Act of 2011. Recent actions by bond rating agencies suggest that Virginia needs to increase its reserve levels generally, and doing so through creation of a higher education reserve will have the added advantages of improving affordability for Virginia students and enabling our public colleges, universities, and community colleges to operate more efficiently. Virginia students and their families will benefit significantly if the four-year net cost of attending a Virginia higher education institution can be guaranteed, or at least made transparent and predictable at the time a student is first admitted to a public college, university, or community college in Virginia. This goal is achievable if the results-focused funding approach described above is combined with a reserve fund that makes state support reliable and predictable. NET COST RESTRAINT: Reining in the net cost to students and the resulting student debt burden. Instead of finger-pointing over the causes of escalating college costs, Ed wants the Commonwealth and its colleges to work in partnership to decisively improve affordability for Virginia families. The proposals of the preceding two paragraphs—institution-specific performance agreements that address net cost to students, and stabilization of operating support from the Commonwealth—are foundational aspects of Ed’s affordability strategy. Additional measures Ed will pursue include increasing financial aid and work-study opportunities for both low and middle income families, working with the business community to establish incentives tied to post-graduation employment, establishing the innovative income sharing agreement (ISA) approach by which colleges and students share the risk and reward of post-graduation earnings, linking incentive funding from the Commonwealth with specific tuition limits at public colleges, sustained support for tuition assistance (TAG) grants to Virginia’s impressive array of independent colleges, [and collaboration with non-profit programs that enhance affordability and access, such as the GRASP program. Attracting higher-paying out-of-state students for slots not dedicated to Virginians is also an underutilized strategy for reducing costs to Virginia students while also enriching the student experience and attracting high-skilled individuals to the Commonwealth. Finally, the OPPORTUNITY CAPITAL Partnership described above, a wide-ranging set of business and higher education collaborations that Ed will promote as governor, will bring both business resources and expertise to the higher education setting, with positive consequences for efficiency and affordability. AFFORDABLE ALTERNATIVES: Providing students and their families with an expanded array of choices, including lower cost alternatives. As college costs have escalated, students and families have searched for more affordable alternatives. Ed wants Virginia and its public colleges to be leaders in developing these alternatives and making more students and families aware of them. Familiar strategies worthy of continued support and expansion include online learning opportunities, community college transfer programs, collaborative high school and community college (dual enrollment) programs, and advanced placement options. Ed also wants to work with Virginia’s colleges and universities to expand the number of structured courses of study and expedited degree programs that are offered, and to explore opportunities for no-frills degree programs that offer reduced fees in exchange for fewer amenities. There undoubtedly are other innovative ideas: a Virginia system of higher education that leads the nation in quality and value has the creativity to also lead on affordability and access. By creating a new spirit of partnership between the Commonwealth and its colleges, supported by wide-ranging partnerships with business, Ed will usher in a new era of affordable access to post-secondary education for all Virginians. INCENTIVIZED COLLABORATION: Having the higher education institutions partner strategically to improve outcomes and control costs. Ed is strongly committed to bending the cost curve and helping to make our high-performing colleges and universities even more productive and efficient. He will ask the State Council of Higher Education (SCHEV) to expand on the recent work by the Joint Legislative Audit and Review Commission (JLARC) by comprehensively examining the progress of each institution in addressing the JLARC recommendations and in implementing restructuring reforms, Top Jobs Act measures, economic development objectives, and other recent policy initiatives. Where appropriate, business insights and expertise gained through the Opportunity Capital Partnership should be incorporated into this work. Ed will place particular emphasis on promoting collaboration between and among higher education institutions, public and private, on measures that reduce costs and improve outcomes for students. A prominent example is bringing the advantages of new technology to our campuses to improve both instruction and administration. The newly created Online Virginia Network has the potential to increase online course-sharing across institutions. A revolving fund for technology acquisition, recommended by the McDonnell Commission but not yet implemented, can help higher education institutions overcome cost barriers to technology acquisition while replenishing the fund over time from the resulting savings. Ed will align state policies to encourage this and other kinds of smart collaboration across the higher education system. ENHANCED GOVERNANCE: Strengthening the role and impact of state-appointed fiduciaries in the management of public higher education institutions. The decentralized character of Virginia’s higher education system heightens the importance of each institution’s governing board in ensuring that the institution serves students and the Commonwealth well. Appointed by the governor and confirmed by the General Assembly, governing board members are the fiduciaries that the people of Virginia, through their elected representatives, have entrusted with the oversight of these public institutions. 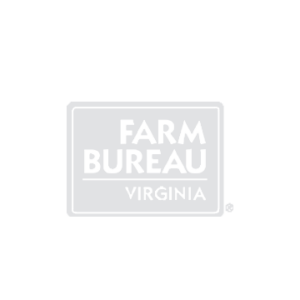 It is essential that these board members do their jobs well, exercise informed judgment, and understand and respect the important distinction between fiduciary oversight and administration. As governor, Ed will convene a highly respected panel of former rectors and board of visitors members, college presidents, and legislative and executive branch leaders to examine best practices in Virginia and elsewhere and craft policies that will enhance the effectiveness of Virginia’s higher education governing boards. Among other ideas, Ed will direct the panel to examine the following: terms of board members, including the possibility of five rather than four-year terms; inclusion of additional minimum credentials for board members in statute; enhanced board member training; and the appropriate extent, qualifications, and independence of staff serving the boards. Our Virginia higher education system obviously serves most students well; our schools could not routinely earn high national rankings for quality, value and return on investment unless they provided an excellent educational experience. Yet, students and parents everywhere, including in Virginia, often lack the information they need to make informed choices on such critical issues as what school to attend, what degree or credential programs to pursue, what courses to take, how best to pay for college or other post-secondary training, and, perhaps most important, how to make sure a good job and a happy life are fruits of that investment. Ed wants our colleges to expand the information and choices available to students and parents as higher education consumers. This, too, requires a spirit of collaboration. Like partnering with business to make Virginia the OPPORTUNITY CAPITAL and partnering with the Commonwealth to ensure affordable access for all Virginians, Ed wants our Virginia colleges, universities and community colleges to partner with parents and students as consumers, expanding their options and arming them with the information they need to make good choices. Ed’s plan for higher education opportunity for all Virginians includes two primary strategies for expanding consumer service and choice in higher education. COST, COURSE, AND CAREER CHOICES. Three closely related sets of consumer choices in higher education are to how to pay for college, what to study, and how to use the fruits of that study to access a good job and rewarding career. Ed believes that all three require a more integrated, consumer-oriented approach on Virginia’s campuses. Affordable alternatives. Providing students and parents with a much wider range of affordable alternatives for paying for college is essential, and equally important is making those funding options easily accessible and fully known to all college consumers. Student advising and course access. Ed also wants colleges to step up their game when it comes to the student advising process and course availability. For example, providing structured and streamlined courses of study can enhance both affordability and progress toward a degree or credential that leads to a good job. But developing these options is not enough; administrators and faculty advisors also must take the steps necessary to arm students and parents with information about those choices. Career advice and job placement services. Graduate schools often excel at job placement, but colleges have traditionally placed relatively little emphasis on advising and assisting undergraduate students in landing good jobs. This shortcoming in higher education creates another opportunity for us to stand out as the OPPORTUNITY CAPITAL. Virginia can be known not only as the best place in the country to get post-secondary education and training, but also as the place where you get the best customer service in translating that educating and training into employment and earnings. Partnerships between our colleges and businesses on internships and other work-related opportunities, as outlined above, are an essential part of this. Another key part is the career advising and job placement services that students can access on campus and online. As governor, Ed will work with our higher education institutions to become “best in class” in providing these vital services to students. TRANSPARENCY ON RESULTS AND RETURN. Transparency is a popular word these days, and rightly so. But for transparency to be more than a cliché, it must provide consumers with information that empowers them to make better choices. For college students and their families, that means information about what it will cost to attend a particular institution and what they will have to show for it when study is complete—the results and the return on investment. Expected enrollment rates of Virginians and corresponding admission standards. The net cost to students, including full tuition and fee costs, financial aid eligibility, and the resulting student loan debt, for the full two- or four-year course of study. Graduation rates and the pace of completion. Job placement success and earnings of graduates, where possible by degree/credential program. Internship and other work-experience opportunities, including “pipeline” programs and other partnerships with businesses that lead to employment opportunities. Where applicable, the research and research translation activities of the institution and opportunities for student participation. As governor, Ed will listen to students and parents in determining what consumer information Virginia’s higher education institutions should provide. The State Council of Higher Education will take the lead in implementing the initiative, and Ed will work in partnership with leaders in higher education, business, and state government to forge an effective approach. Virginia has the opportunity to add “most consumer-friendly” to the many accolades our higher education system receives. It will help cement our reputation as the OPPORTUNITY CAPITAL, and, most important, it will give all Virginians access to the education and employment opportunities that will let them achieve their full potential.